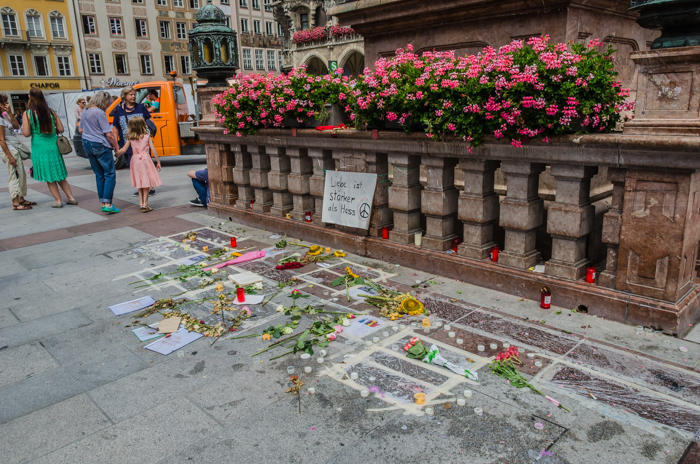 I was in Munich a couple of days after the atrocity that took place there and shocked the world, and I saw this. The caption translates to ‘love is stronger than hate’. The history of our two countries seems to hold in place, for some, an underlying suspicion of Germans. My experience, however, is of a people who are friendly and warm and very much like ourselves, and Munich seems to me to be a very friendly city. After all, it is the place of Oktoberfest, an event where drinking beer and having a good time is the main thing, and what could be more natural than that to an Englishman? Perhaps the tale of Christmas 1914 sums it up: left to their own devices, Anglo Saxons and Saxon Saxons would have a drink, exchange stories, shake hands and go home. It took the insistence of their ruling elites to keep them killing each other for another 4 years. And those 4 years and what came immediately after created fertile soil the even greater horror that came later.